Why not rent a book? 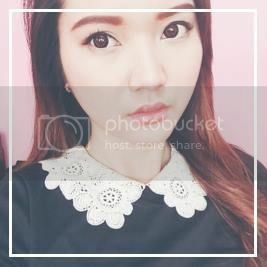 | misskatv.com: Why not rent a book? Why not rent a book? Hi there~! If you're a regular reader of my blog, you might know that I'm currently addicted to reading books online. I was a bit hesitant if I needed to buy the actual book where I can keep it for myself or just purchase it online and read it on my android phone. I ended up not buying the actual book. Why? First, I don't like reading books twice. I just keep it in one place right after I'm done with it and never try to touch it again. /lol I know some people likes to read a certain book more than once. But I'm not like that. When I already now the story or the content, I don't get inspired enough to read it again. I get spoiled easily. I found this website a week ago, it is called www.campusbookrentals.com/. Their concept is really smart. You can rent books from their website and save lots of money compared to buying it. I'm talking about text books here. Image how much you spend on your books, then after your course you wont be using or needing it. Such a waste eh? /let's be frank here. Not all of your books are even useful, especially after school. CampusBookRentals.com began renting textbooks in August of 2007. Since then, we've served thousands and thousands of customers on more than 5,000 different college campuses in the fabulous USA. You can be confident in our customer service and reliability. We work like maniacs to get books to our customers on time, make things right when something goes wrong, and provide fast and responsive customer service. 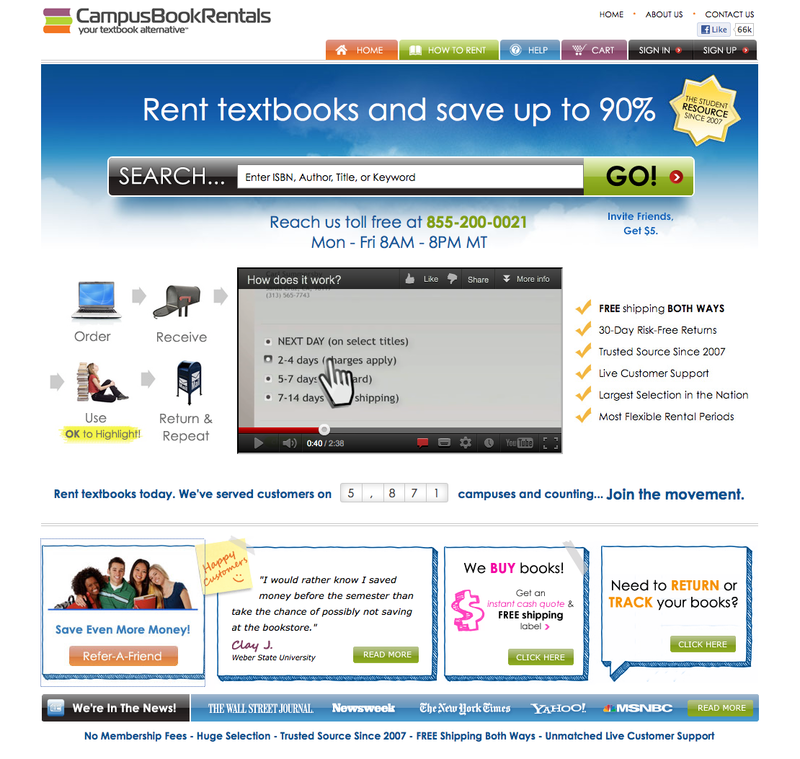 At CampusBookRentals.com we offer virtually any textbook for rent, we pay students for referring friends, we award scholarships every semester, and we contribute a portion of the rental proceeds to a worthy humanitarian project each year. We’ll keep you involved in our humanitarian projects and progress through our “Making a Difference” link. Renting textbooks makes sense plain and simple. Every rental comes with a worry free guarantee within the first 30 days of your order if you drop your class or change your mind, you keep more cash in your pocket up front, you can order from the comfort of your home or office, it doesn’t cost a penny to return your rented textbooks when you're done with them (we even provide the package), and you don’t have to worry about disappointing buyback prices at the end of the semester. Let us take the risk that your textbook will be worthless next semester; you don’t have to anymore. have you tried renting from them? Rent a book? Hmmm.. that's nice. At least, you won't have to maintain a bookshelf huh to keep those you already read.